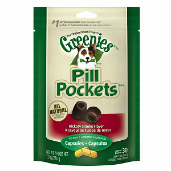 Shop for pill pockets for dogs and cats at VetDepot.com. 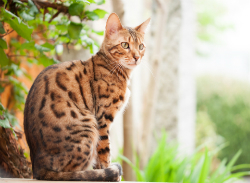 At some point in your pet's life, he will require an oral medication or supplement. These come in four basic forms: liquids, pills, tablets, and capsules. Understandably, pets don't understand the importance of taking these products, and cats and dogs are infamous for putting up a fight. Fortunately, there are several tricks to facilitate dosing even the most reluctant animals. Always observe your pet for a minute or two to ensure she swallows the full dose of a medication. Carefully read label directions and precautionary statements before giving any medication to your pet. Some products are given with food while others must be administered on an empty stomach. Some pills and tablets can be crushed or chewed, while others have a time-release coating or other reason for being swallowed whole. Some capsules may be broken open and their contents sprinkled on food, while others must be consumed intact. "Fortunately, there are several tricks to give even the most reluctant animals their medications." Make sure you know the proper dosage, frequency of administration, storage temperature, and other important details. If you have questions concerning a medication or supplement, consult your veterinarian; never administer a product if you're unsure how to do it. Improper use can cause illness or death. Also, use only species-appropriate products and never give your pet a human medication or supplement. Some palatable liquid medications are mixable with water. In these cases, administration should be as easy as giving your cat or dog a fresh bowl. Use a medicine dropper if you must give the medication directly. Most liquids are packaged with a dropper; if not, ask your veterinarian for a few. They are also cheaply available for purchase. 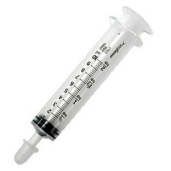 Other medications may require the use of an oral syringe like this Monoject 10 mL Oral Medication Syringe when it comes time to administer them. To drop liquid medication into the cheek pouch between your pet's cheek and molars, press her cheeks together between your thumb and fingers to open her mouth. Insert the tip of the dropper back into the cheek pouch and quickly squirt out the medication or supplement. Do not attempt to squirt the product directly down your pet's throat. Hold her mouth closed for a few seconds, but don't tip your pet's head up, as this may result in inhalation down the windpipe. When administering a large quantity, give it in a few separate squirts, allowing time for your pet to swallow in between each one. When possible, opt for flavored products. These are generally palatable and your cat or dog is more likely to accept them. Still, there are no guarantees, and many pet medications and supplements aren't available in a palatable package. If you must administer the pill, tablet, or capsule directly for swallowing whole, you can find a detailed explanation and helpful step-by-step pictures of this procedure for a dog with an extended snout on the Washington State University College of Veterinary Medicine's website here; find the same for dogs with short snouts and cats here. When you deposit a pill, tablet, or capsule on the back of the tongue, tip your pet's head back slightly and blow sharply into her nose to encourage swallowing. If you can administer the medication or supplement with pet food, conceal the tablet in a small ball of wet food. Your pet may still separate and spit out the product, but using a secure, somewhat sticky product designed for delivering oral medications can make acceptance more likely. Consider using Greenies Pill Pockets, Flavor Doh, or any of these other brands of pill pockets. If you can crush the tablet or pill, or if a capsule can be opened and sprinkled out, mix the bits or powder with your pet's favorite wet food. Provided it's acceptable for your pet to eat after a dose, give your pet a treat and praise her after she takes her medication.